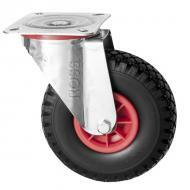 Pneumatic castors and Puncture Proof Castors are ideal for cushioning sensitive loads. The air filled pneumatic tyres have an extra wide tread, which prevents damage to any floor surface. 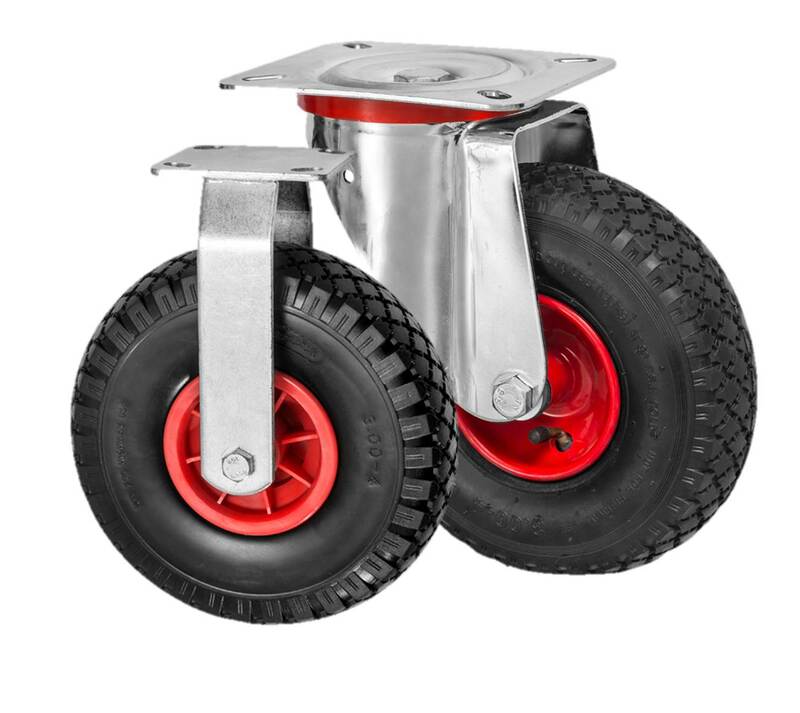 These pneumatic caster wheels have been extremely popular with cricket clubs on cricket screens, football and sports stadiums, garden centres, and on a variety of trolleys and outdoor catering venues. Available in 200mm diameter and 260mm diameter wheels. 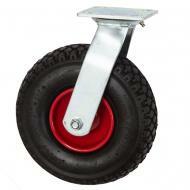 If its a solid rubber wheeled castor you require have a look at our 3360 Series. Pneumatic castors are our widest tread castors we offer, and are perfect for outdoor applications. Our Puncture Proof Castors are a great alternative, as they do not go flat or require inflating. Again suitable for rugged environments and available in one 260mm diameter flat free wheel size.